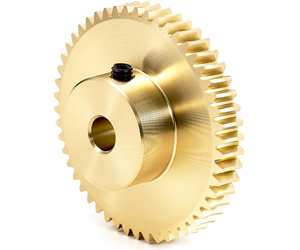 Worm and wheel gear pairings provide large speed reduction ratios with only one gear pairing in a more compact space when compared with other types of gears. We offer up to a maximum ratio of 100:1 with our products. 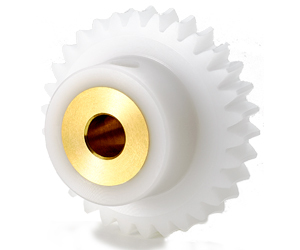 Another advantage of the Worm and Wheel gear pairings is the low level noise they produce. Some disadvantages are the general low efficiency and the fact that they generate heat. 1) The hardness of the helicoid surface has been achieved by work hardening when the cold rolling was performed, providing Worm gears with better mechanical properties than machined worms due to fact that the metallic fibrous structure has not been cut. 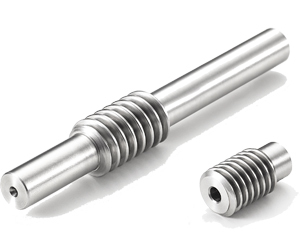 2) The surface hardness after cold rolling is increased by 1.2 to 1.3 times when compared with the hardness of the original material, and the hardness of the helicoid surface increases to around HB240 to 260..
3) Cold rolled worms are suitable for miniature gear applications since this can be rotated smoothly without damaging the worm wheels made out of POM or other soft materials. 4) Due to the implementation of this cold rolling method, the helicoid surface of KG-Worm (M0.5 to 2.0) comes out with a mirror like finish. Thus, KG-Precision Cold Rolled Worms provide a smooth operation and long term durability. 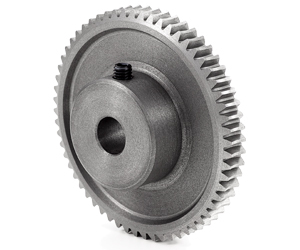 Please request your Quotation for Worm Gear pairings through our “Request For Quotation” page. 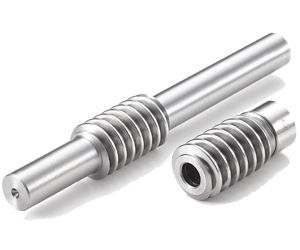 We can customize our standard Worm Gear pairings to suit your specific applications, please consult with us. We are offering gear modification services. Please check the details and examples of modifications at our “Gear Modification” page. 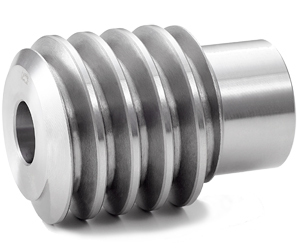 Please refer to the following precautions before using our Worm Gear pairings. 304 stainless steel has better corrosion resistance than 303 stainless steel. 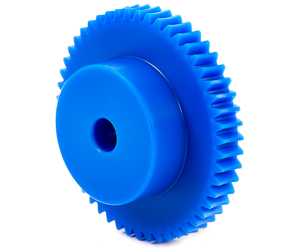 Blue Polyacetal (Blue POM) gears have a lower water absorption rate and dimensional stability compared with nylon gears, due to this greater material integrity POM has lower chances of bacterial and mold contamination and is therefor approved by regulating authorities in the food industries of the US and Europe. 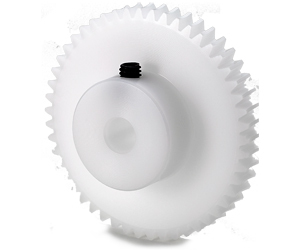 Polyacetal (POM) gears have a lower water absorption rate and better dimensional stability when compared with nylon gears. 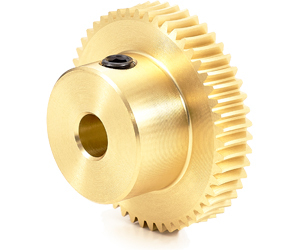 Polyacetal (POM) gears with a brass bush bearing, the bore diameter tolerance is H8. 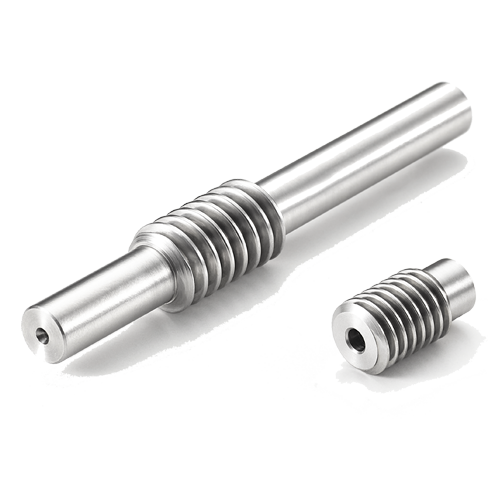 This gear was intended for applications that require smaller gap tolerances between the shaft and bore that only plastic gears can’t provide.